NATIVE HEALTH is committed to serving the community in high quality, unique, innovative ways to encourage individuals and families to improve their overall health and wellness. 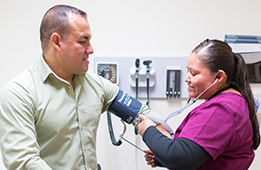 NATIVE HEALTH provides primary medical care in a Patient Centered Medical and Dental Home. This means that you, the patient, is the center of all we do! We care for you as a whole person and provide consistent, high quality medical care that you need and want in easy convenient locations. NATIVE HEALTH’s two friendly dental clinics provide a full range of general dental care for children and adults in two easy, convenient locations and affordable prices. Emergency walk-in dental services are also available. NATIVE HEALTH is a Patient Centered Medical and Dental Home. NATIVE HEALTH’s Behavioral Health Services Department can help you address a range of mental health, substance abuse, and social issues. NATIVE HEALTH’s trained professional staff can help you and your family overcome the challenges you face with respect and dignity. NATIVE HEALTH’s Community Health and Wellness Division educates and engages members of the community about health issues and healthier lifestyles. The following programs provide individuals and families with information and services, with the goal of linking the community to needed services. The goal is to present timely and relevant information, education, resources, programs and tools to help individuals and families enjoy good health now and for years to come!